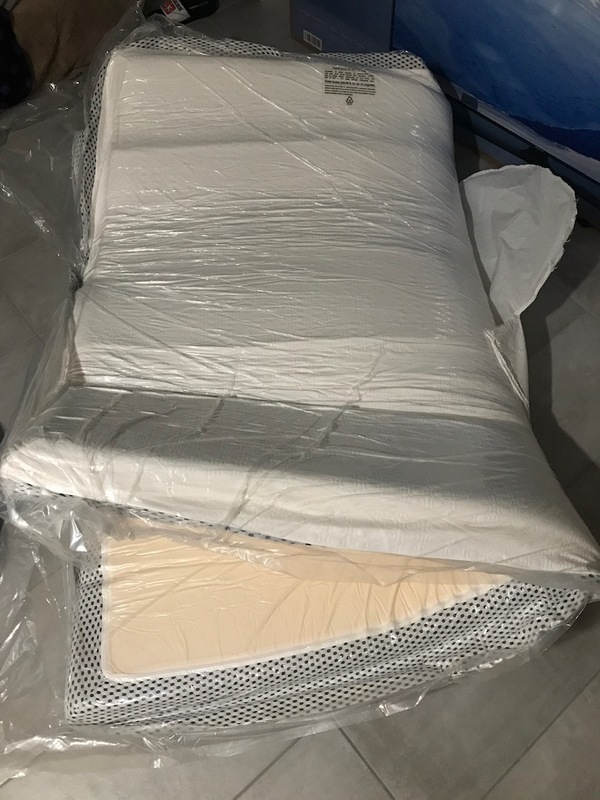 This Zinus mattress review was completed by the MattressJunkie.com team recently. 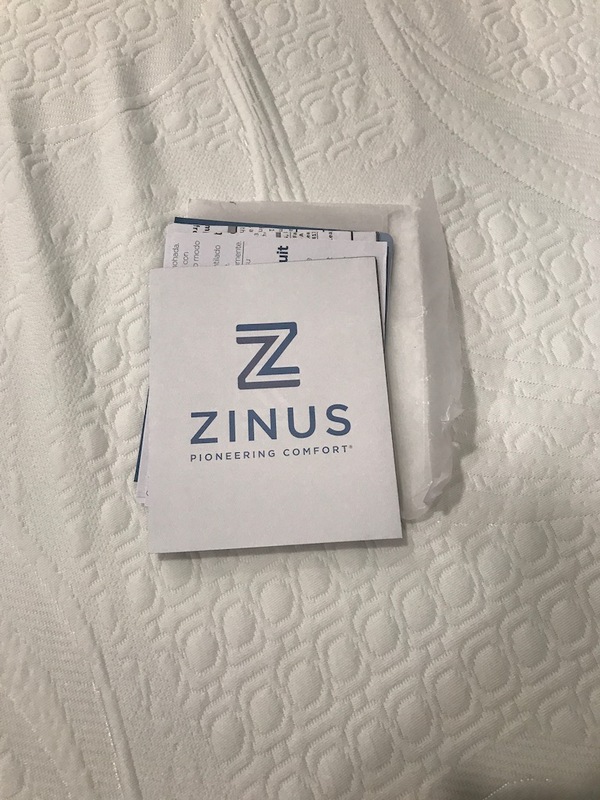 Zinus sent over a queen, 12’ Pressure Relief Memory Foam mattress to be reviewed by the MattressJunkie.com team. 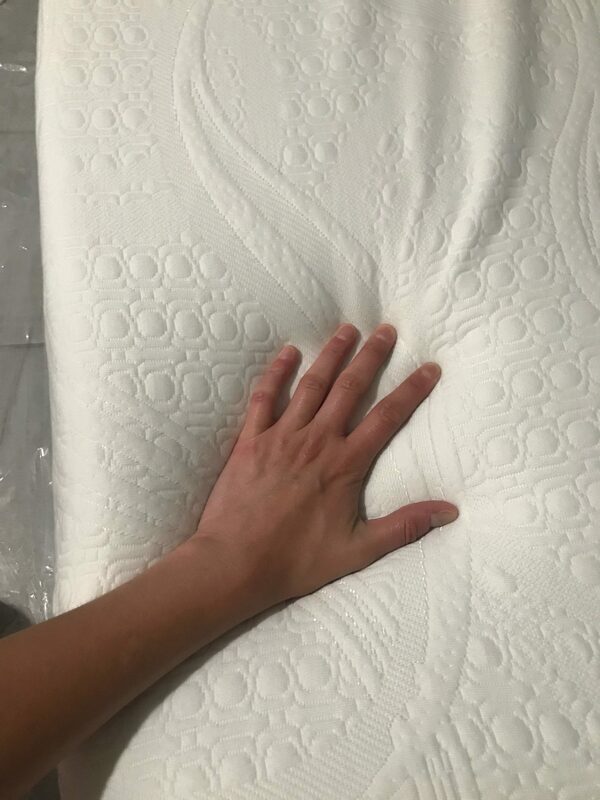 This mattress is listed for $310 on Zinus’s website. Zinus mattresses are extremely affordable. Zinus, the company, has an array of sleep and lifestyle products to help consumers discover better sleep. Zinus has shipped millions of mattresses and beds and has over 110k reviews. We wanted to ensure that the Zinus was up to par with our standards. 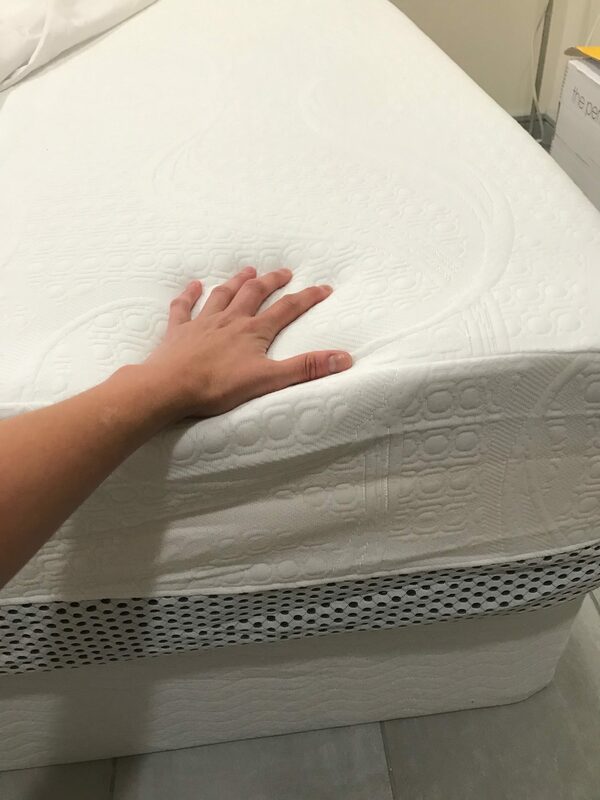 Check out how this Zinus mattress stacked up in the MattressJunkie.com review process. The Zinus cover is light and airy. Nothing too fancy but definitely light enough and breathable to allow air flow. The Zinus cover fits a little loose on the mattress but that didn’t change the performance. The mesh bottom gives a nice blue accent to the bottom part of the mattress. The Zinus mattress is made up of 3 layers. The first layer is 3 inches of BioFoam. BioFoam is used as memory foam and replaces the traditional petroleum found in many mattresses with plant oil which keeps your mattress staying fresh. 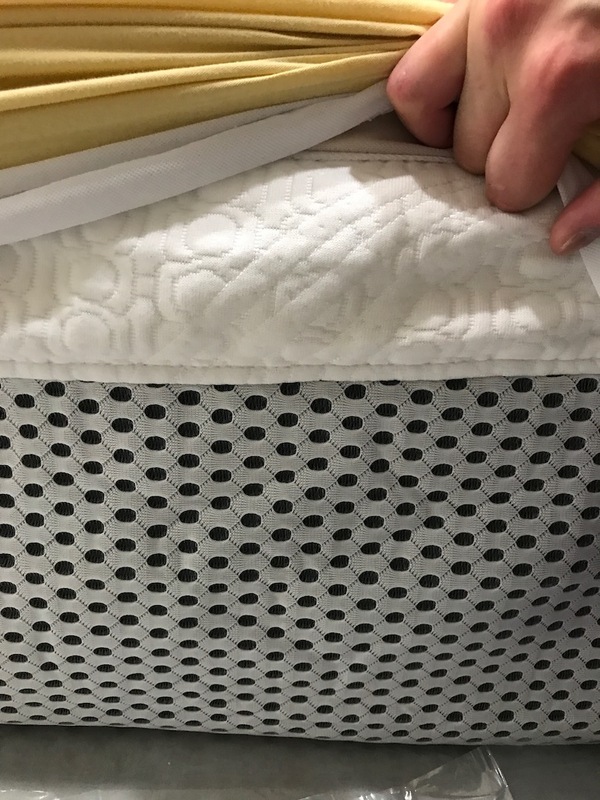 Biofoam is infused with natural ingredients like green tea extract and charcoal to help safely absorb moisture, eliminate odors, and keep your mattress fresh throughout its lifespan. The middle, 3 inch layer, is made up of pressure reliving comfort foam to help the body conform without too much stress on any one portion. The middle layer serves as a transitional layer between the top, comfort layer and bottom, base layer. The last 6 inches of the Zinus mattress makes up the high density base support foam. This layer provides your support while the other 2 layers provide your comfort. The Zinus mattress we reviewed had a medium to firm feel. Not too soft and not too hard so that general level of firmness would work well with the majority of sleepers. The sinkage was moderate and expected from a memory foam mattress but nothing too extreme. What Sleep Position Works Best with The Zinus Mattress? The Zinus mattress works great with all sleep positions. The high quality, four pound memory foam offers conforming comfort for all any sleep style. How is the Edge Support on the Zinus Mattress? Whether you sit on the edge of the bed or sleep near the edge, memory foam mattresses don’t always have the greatest edge support. Zinus’s edge support was sufficient for my liking. I have seen some mattresses cave in on the ends with no edge support. Zinus’s edge support was standard for a memory foam mattress. How did the Zinus mattress handle motion transfer? Zinus handled motion transfer very well. I was impressed with the lack of interruption from one side to the other. 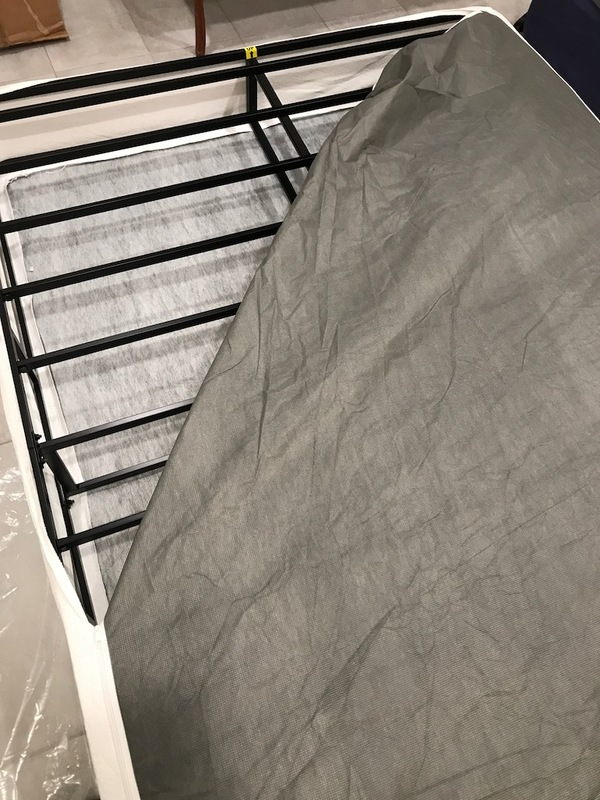 What type of base should I place my Zinus Mattress on? 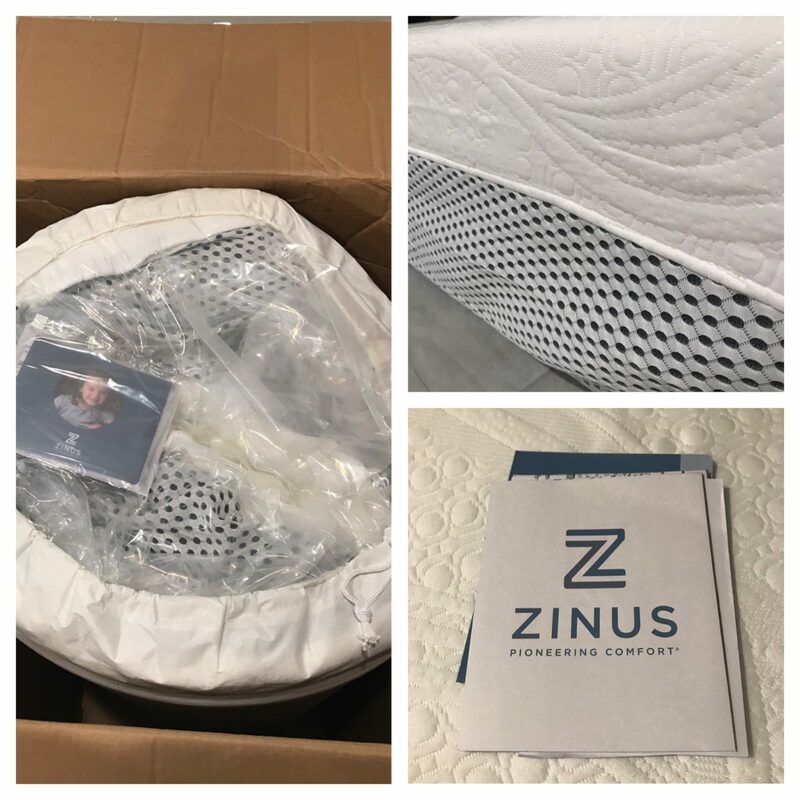 As you can see from the photos, we reviewed our Zinus mattress on a Zinus Box Spring. 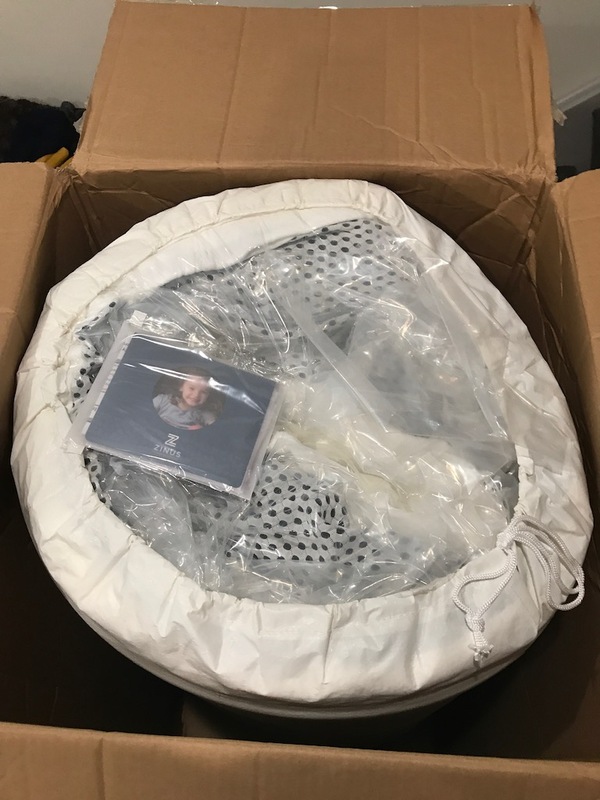 The box spring was also delivered in a box. The steel structure was super easy to assemble with all the tools in the box. This Queen box spring cost $109 which is super cost effective if you prefer to not sleep with your mattress directly on the ground. 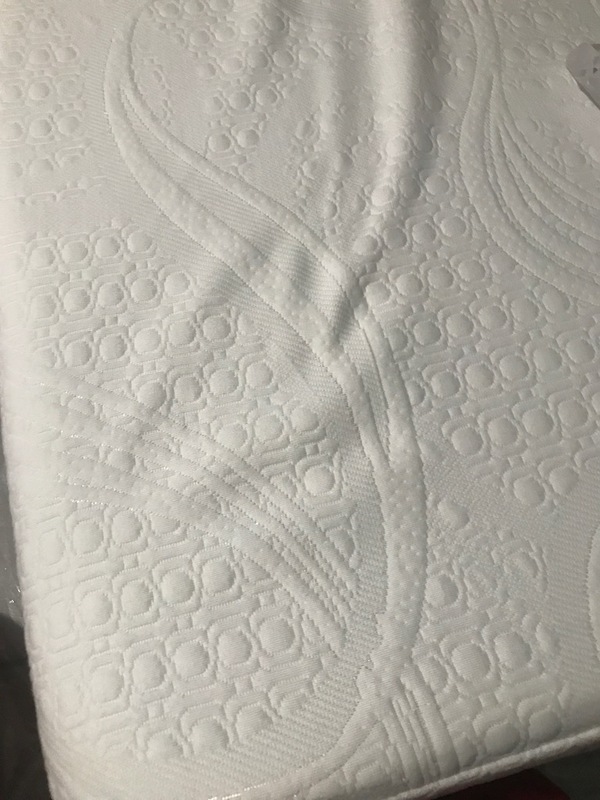 Will My Zinus Mattress have a chemical smell when taken out of the box? Most mattresses have an odor to them when you unroll and remove the vacuum sealed plastic. This chemical type smell is called off-gassing. Off gassing is not harmful nor toxic in any way. As your mattress breathes, the off-gassing smell will fade. Zinus’s off gassing was not strong at all and was completely unnoticeable after 24 hours. What Type of Warranty Does Zinus Offer? Zinus has a 10 year warranty on manufacturer defects. Is My Zinus Made of Safe Materials? Zinus is made from high quality materials that are Certipur-US Certified so you and the environment are safe from any harmful toxins. How much does Zinus cost? Is financing available? Financing is available on all mattresses and box springs for as low as $50 a month. Yes! We recommend Zinus for anyone who is looking for a high quality, well-made mattress but doesn’t have the budget to splurge. From the mattress arrival to the assembly of the box spring, Zinus was a great experience. The mattress looks and feels much more expensive than actual cost. 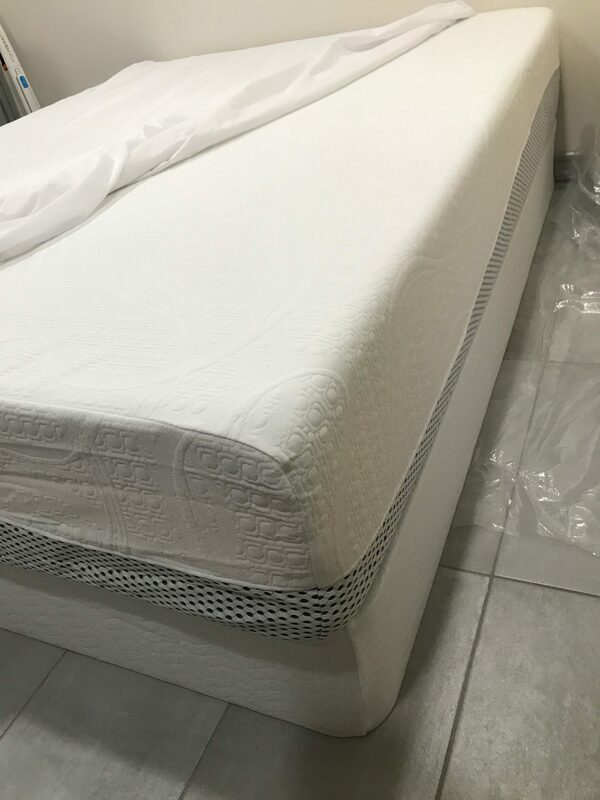 MattressJunkie.com was super impressed with the quality, workmanship, materials, and sleep quality from the Zinus mattress and box spring.